Santa came a little early for me as well this year. I've been waiting for this piece for awhile now and it's great to have it on my wrist finally. It's only been a few hours but I'm amazed at how nice this watch is. 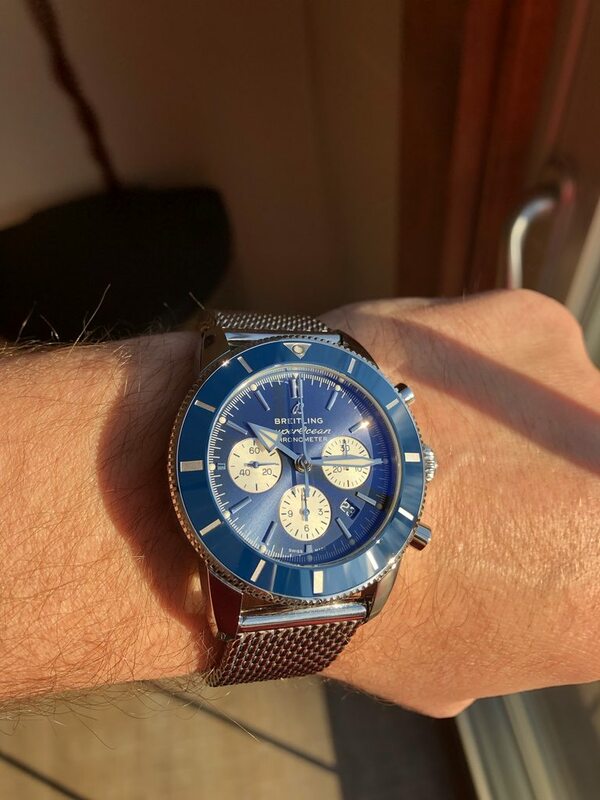 Enough of me rambling, here is my new Superocean Heritage Chrono II. And one with some good natural light. 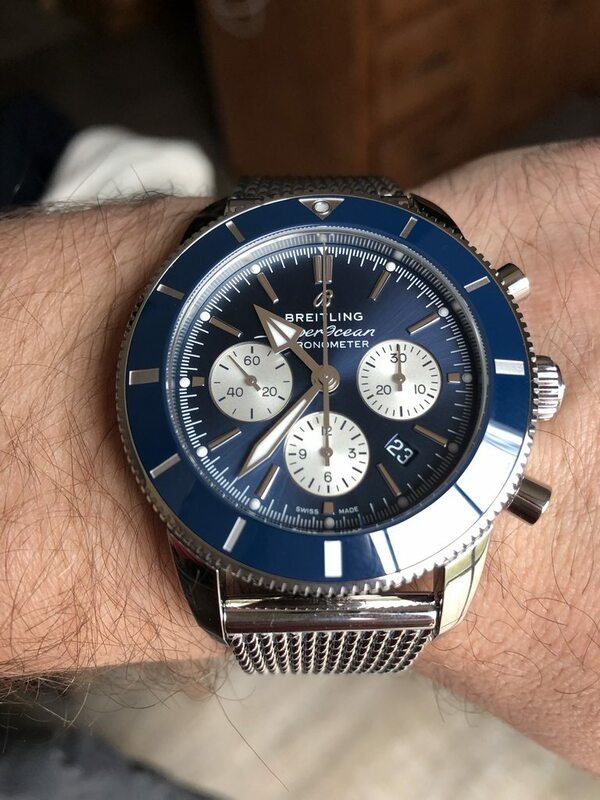 I posted some more pics over on the Breitling Forum. Looks great on your wrist. Yeah, this has the B01 movement. Wow! Beautiful blue! Please enjoy in best of health. Thanks. Congratulations on the beautiful blue addition, I love the Mech. What a beautiful addition, congrats. Previous Topic: Happy 70th Birthday to me!